Sei in Home » What is the A.Me.Co.? The “Associazione per la Meditazione di Consapevolezza” A.Me.Co. was founded in December 1987 in Rome by Corrado Pensa, Neva Papachristou and six other Members, all Dharma practitioners. A.Me.Co is a religious buddhist organization of Theravāda tradition, born to testify, cultivate and disseminate, in accordance with the buddhist Scriptures, and with an interreligious spirit, the fundamental core of Buddha’s teachings: The Four Noble Truths, the refuge in Buddha, the Dharma and the Sangha, the universal law of interdependence, and the practice of sati-mindfulness vipassanā meditation, aimed to purify the heart and soul, and to reawaken wisdom and compassion. The lead teachers are Corrado Pensa and Neva Papachristou; both appointed Theravāda Dharma teachers by Senior Teachers of the Buddhist Mindful Meditation Center, vipassanā, Insight Meditation Society in Barre, Massachusetts (USA). A.Me.Co. 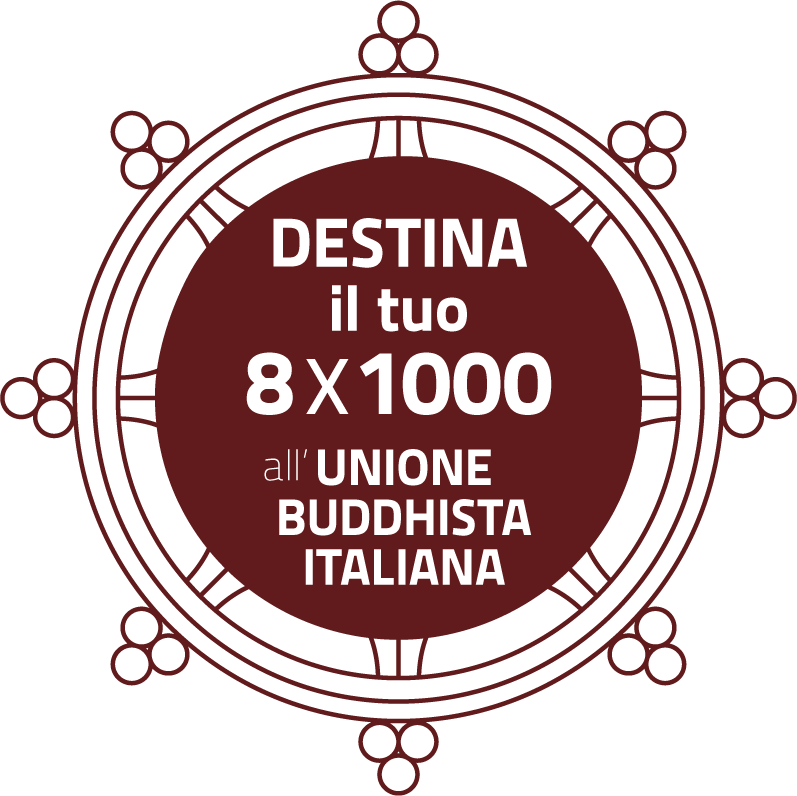 in partnership with UBI, “Unione Buddhista Italiana” (Italian Buddhist Union), thanks to the agreement concluded by the Italian government, and published as law in the Gazzetta Ufficiale on 17 January. A.Me.Co. activities are only for registered members. A series of Dharma and vipassanā meditation Seminars are planned for 2019. They are all taught by Corrado Pensa and Neva Papachristou, and focus on developing the core themes of buddhist religion, with detailed instructions on the sati-mindfulness practice. It’s possible to take part in the meditation intensives (taken every Thursday), and the community meetings (Sangha, 3 pm – 7:30 pm) without booking, during which sitting and walking sati- mindfulness meditation is practiced. Every four months, the “Associazione per la Meditazione di Consapevolezza” publishes and sends its Members “SATI”, a 72-page magazine including articles about Dharma studies, written by our lead teachers Corrado Pensa and Neva Papachristou, as well as articles written by nationally and internationally renowned teachers who are regularly invited by the A.Me.Co., and contributions from yogis dedicated to sharing their experiences and their inner journey. Inside SATI you will find a paper version of the A.Me.Co calendar of events. Dharma teachers that come from Italy (like Venerable Ajahn Chandapalo) and from abroad (like Patricia Feldman Genoud, Christina Feldman, Ezra Bayda and Elizabeth Hamilton) have been invited during 2019 to lead both Dharma and vipassanā meditation intensive in the Headquarters, as well as retreats organized by A.Me.Co in other host locations. Teachers like Andrea Anastasio, Giuliano Giustarini, Francesco Sferra have been invited to teach intensives about study and practice. In line with an interreligious spirit that the Association wants to pursue, Vito Mancuso, Flaminia Morandi and Marco Vannini will be teaching christian spirituality. In addition to the aforementioned activities, every member can register to participate in yoga seminars led by Alberta Biressi, and in Qi Gong and Tai Chi Chuan seminars taught by Debora Drigani. Knowing the unifying effect of group singing, in 2013 A.Me.Co. founded its own Choir, and since then a great number of yogi have had the chance to meet other Sangha participants, through group singing meetings. Religious traditions have always highlighted the importance of celebrating through singing, in order to gain confidence in your inner journey. Being part of a Choir is a chance to strengthen intentions to cure oneself, to feel a greater connection with your fellow travelers, and to feel the joy of interconnection between hearts, silences, voices and sounds! You don’t need to sing in tune to feel part of a group, and live the harmony created by singing. The Choir, led with love by our vocal instructor Claudia Marss, is open to whoever decides to be part of it, and wants to give and receive kindness and friendliness. A.Me.Co. is in contact with other institutions: the Santacittarama buddhist monastery, the Center for Buddhist Mindfulness Meditation “Insight Meditation Society” of Barre, Massachusetts (USA), the urban Center “Cambridge Insight Meditation Center”; the Amaravati and Chithurst monasteries (UK), and Gaia House laic center (UK). Click here to get information on A.Me.Co. Membership.